Jackie Chan proves that a father’s love for his family is unmeasurable in his latest movie. For many years, Jackin Chan hasn’t allowed his age to get in the way of producing an action-packed movie. Although many of those films have been Chinese based that doesn’t take away from Chan’s ability to give a convincing performance. As for those films in the States, all were playful action with the exception of Rush Hour. Now we stray away from the light-hearted comedy/action and kick it up a notch. 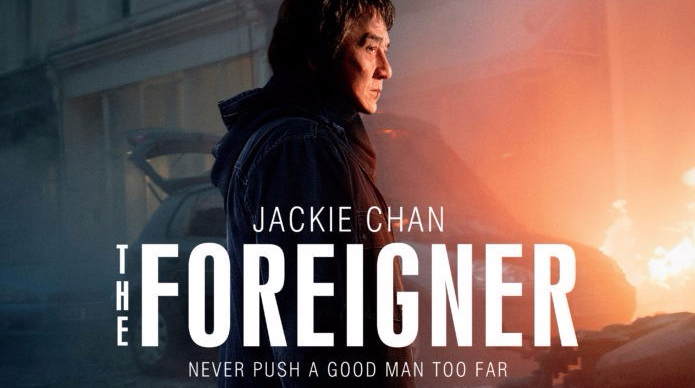 A humble London businessman Quan (Jackie Chan), whose long-buried past erupts in a revenge-fueled vendetta when the only person left for him to love—his daugter—is taken away from a senseless act that’s likely politically motivated terrorism. In his search for the identity of the terrorists, Quan is forced into a cat-and-mouse conflict with a British government official (Pierce Brosnan), whose own past may hold clues to the identities of the elusive killers. Charlie Murphy, Katie Leung, Michael McElhatton, Orla Brady, Rory Fleck Byrne, Simon Kunz, Pippa Bennett-Warner, Stephen Hogan, Dermot Crowley, Dermot Crowley, Roberta Taylor, Bern Collaco, Mark Tandy, Lasco Atkins, and Dilyana Bouklieva also are starring in the film.